Drones have been used since World War II by the Germans and then used again by the US in the Vietnam War. 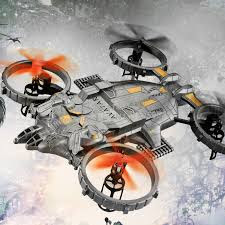 Although these early drones were for military use and a decade ago, drones were mostly in the military sphere, technology has enabled civilians to use it for their own non-military purposes. These include surveying, aerial photographs for real estate development, disaster risk reduction and management, weather forecasting and even crop monitoring. Students of the University of the Philippines (UP) intend to use drone technology in helping to protect the environment. The aim of the students from the state university is to use an application that will enable government agencies to audit mining firms more efficiently faster and top do it even when access to the area is difficult. “Monitoring and auditing mining firms using traditional tools is an expensive procedure done over weeks and months. With the use of drones, we can perform the process in mere days,” Luis Sia disclosed. Sia has a background in computer science background. The technology can help make sure that mining firms follow regulations, Sia said. Sia founded Altitude X, a startup that provides cost effective solutions for unmanned aerial vehicles (UAVs) or drones. Aerial photography for mapping, videography and solutions ranging from property, construction, crop monitoring, disaster risk reduction and management, videography and mining monitoring are services offered by the solution developed for drones. AltitudeX was founded in 2015. “With our technology, [the] government can instantly get data from mining companies that will otherwise be hard to collect,” Sia said. Drones with the solution are flown over the specified area that geotagged by licensed drone pilots and data from the drone are then cross-referenced from ground control points. This will enable surveyors, geologists and even farmers to have real time information about the physical environs of interest. These information includes levels of vegetation and water that will benefit farmers. A 2015 study from UK-based Juniper Research estimates that 16 million consumer drones a year will be sold worldwide by 2020.